Very different feel than the sites further to the west for starters it is much greener here and more lush also this site is from a different period than the popular tourst spots in the Yucatan region. The Maya were a pretty industrious civilization. While Chichen Itza gets much of the attention, there are a number of other sites around Mexico that are in great condition and are just as fascinating to explore. 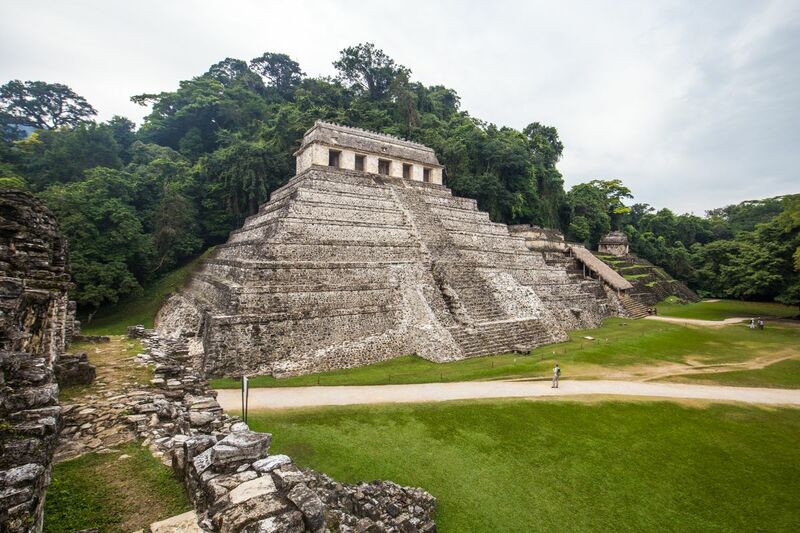 Palenque, which was populated between the 3rd century BC and the 8th century AD, was slowly consumed by the jungle after the humans moved out. It still hasn’t been fully excavated (in fact, only about 10 percent of it is), which is an added mysterious bonus for adventurous visitors. An incredible city of Mayan ruins that you can climb all over for spectacular views. The waterfalls and monkeys only add to the experience. The ruins of Palenque is the place to visit in Mexico. Set in the jungle, most of the ancient city has yet to be fully excavated, which adds to the mystery of the place. Forget Cabo San Lucas and head for the real thing! Palenque Ruines is one of the most beautiful Mayan cities. El Palchan is a small area of hostels inside the jungle, right next to the ruines park. It is a great experience to stay there instead in the city! I recomend "Ed & Margarita", becuase they have the best bugs nets, wich is important when you're in the jungle.